While I like to say I have my routine and products set, my hair gel is one thing I sort of change up depending on use. 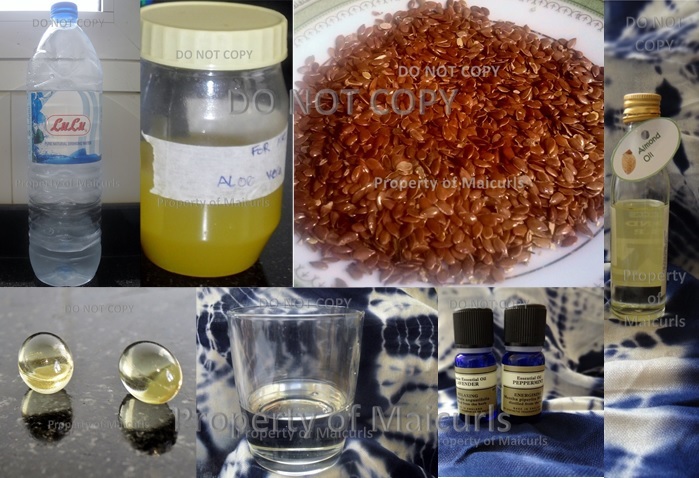 My gel like many others out there is made with Flax Seeds! Yes I am on the Flax Seed Gel (FSG) bandwagon! 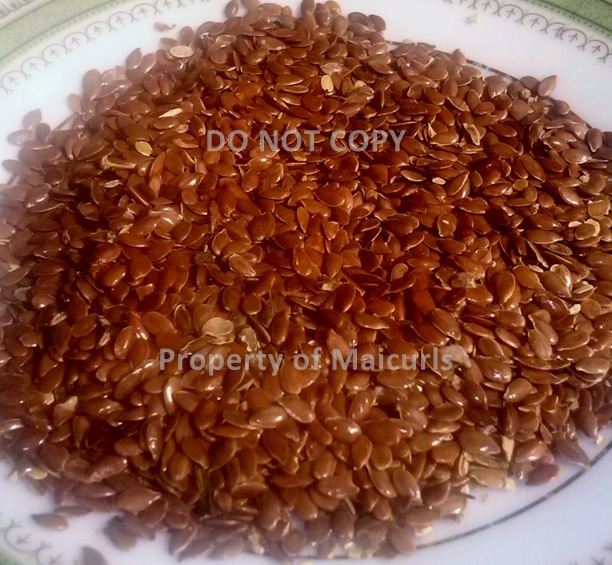 Flax Seeds are not only good for you internally they also provide wonderful health benefits for your hair and scalp. FSG not only acts as a Gel but it also works like a moisturizer for your hair and the Omega-3 Oils (fatty acids) in the seeds help to nourish the hair and treat dry scalp (whoop whoop)! I do not know where Flax Seeds were all my life but they are a GOD SENT! Pure water based FSG (when I do not have enough AVJ). I have to admit I am a “difficult person”. I want my gel to be able to give me “hold”, especially when I do Twists and rock a Twist-Out but I do not want crunchy hard hair. Thankfully my FSG does not make my hair crunchy or flaky. I generally do not use a lot of gel and I also do not use it too often since I do not want ‘flat’ hair but when I do use it I either use it on its own, mix the gel together with my creamy Leave-In conditioner or with my whipped Fluffy Coconut Oil-Cream (in a separate container) and apply. I have written about my whipped Fluffy Coconut Cream in a separate tab. 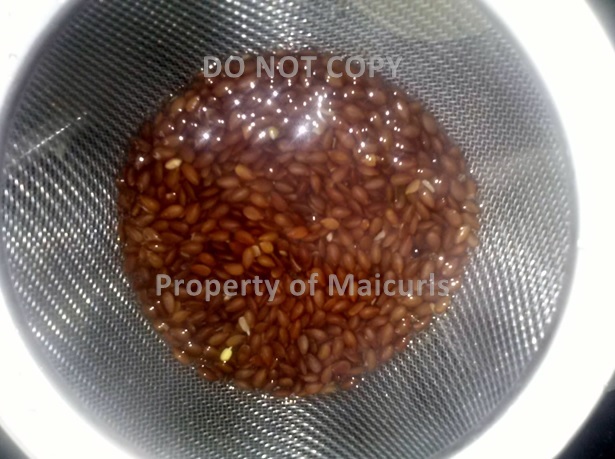 I boil the Flax Seed in the Water & AVJ stirring till it thickens up. I take it off the heat and strain it in a sieve. I usually repeat the step above 1 more time to get more gel! I add the Almond Oil, Glycerin and Essential Oil once the mixture cools down a little. I apply my FSG after I have mixed it. I do not store it in the fridge for weeks because I generally only use gel for twisting. However, never say never right so if I have extra gel I will store it in the fridge for maximum 1.5 weeks and if I do not use it up by then I store it in the freezer, can anyone say frozen FSG cubes! Whenever I need them I take out the cubes to melt and voila. Do you use gel? If so do you use it to twist or for some other styles? Do you make your own gel or use a store bought gel? What other type of styling products do you use? I would love to know! No problem, Mai. Oh, I forgot to add that I blend the ingredients with an immersion blender and pour the contents into a squeeze bottle. No contaminating the mixture! Yes, I do make my own FSG. My first attempt was successful and made my curls pop and super shiny is was very crunchy. Yikes! I tried it again and experienced the same results. Thank you for sharing your mix! I have never tried to put in some conditioner! Thank You for the tip! I do mix my flax gel with a little leave in from time to time but never considered straight conditioner. I think I am going to have to try this! And yes the fridge is a MUST…that nasty smell of it going off is…indescribable!